ITU was established in 1773 and is strongly identified with architectural and engineering education in Turkey. ITU’s mission is to provide education to individuals who are able to compete in the global environment. ITU’s academic staffs, reaching to 2000 members, helps the university to adopt a dynamic, global, high-quality, creative and communicative approach to education as well as to research and development. Keeping abreast with modern developments, ITU is constantly restructuring itself and renovating its physical infrastructure as well as its research and education facilities. Environmental Engineering Department (EED) at ITU was founded in 1978 and currently houses one of the major environmental engineering undergraduate programs together with two leading graduate programs "Environmental Biotechnology (EnviroBioTech)" and "Environmental Science and Engineering (EnvSciEng)" namely. The Department is a highly dynamic and exciting education and research centre, which attracts highly qualified students and top-class academics. The department accommodates total of 5 laboratories for research and education, several lab-scale and pilot-scale systems. Geodesy and Photogrammetry Engineering Department (GPED) at the Istanbul Technical University was founded in 1969 and consists of five main divisions namely, Geodesy, Photogrammetry, Surveying Cartography and Remote Sensing. The department offers high quality and multidisciplinary undergraduate and graduate programmes, which attract high achieving students and top-class academics. There are currently 54 faculty members; 14 Professors, 10 Associate Professors, 5 Assistant Professors, 3 Teaching Associates, 22 Research Assistants and 5 Visiting Scholars, associated full time with the department. Many highly talented members from different fields such as environmental engineering, architectural and city planning engineering, civil engineering, contribute to the multi-disciplinary approach. The GPED conducts research and provides technical assistance in the following areas: Spatial Information Systems, Satellite Surveying, Digital Photogrammetry, Data Structure Analysis, Deformation Measurements, Digital Terrain Models, Visualization of Spatial and Scientific Data, Remote Sensing, Disaster Management Using GIS, GPS and Remote Sensing, Conceptual Data Modelling. Prof. Dr. Seval Sözen Dr. Seval Sözen is professor at the Istanbul Technical University (ITU), Department of Environmental Engineering. She received her B.Sc. degree from Environmental Engineering from ITU, Faculty of Civil Engineering in 1985. She received her graduate degrees M.Sc. (1987) and Ph.D. (1995) from the same faculty in the field of Environmental Engineering. Dr. Sözen has 24 years of teaching and research experience in the field of Environmental Science and Technology. Her research spans environmental biotechnology (activated sludge modeling, biological nutrient removal etc. ), industrial pollution control, waste management, integrated water management and water quality modeling. She has directed and supervised numerous research studies and projects in the field of wastewater management, industrial pollution control, kinetics of biological processes and integrated water management. She holds a long list of scientific publications with over 100 papers, which received more than 500 citations. Her key personal and academic skills include; broad knowledge of environmental and other sciences, strong skills in applied environmental sciences, strong understanding of biological processes theory gained from undergraduate and postgraduate study and her research experience, proven skill in water and wastewater treatment plant design and modeling, experience in writing research and other proposals for funding and other agencies throughout her academic career, proven organizational and academic management skills, commercial and governmental consultancy experience, extensive publishing, editing, and presentation track record. Dr. Sözen supervised five European Commission (EC) funded projects at ITU. She is also trainer in Emergency Management certified by the Federal Emergency Management Agency, USA. She was awarded an incentive by the Scientific and Technical Research Council of Turkey in the engineering branch in 2000. 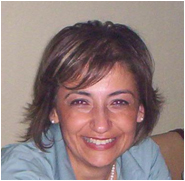 She will be involved in EnviroGRIDS as the leader of WP5 and will specifically contribute in biodiversity, health and energy tasks. She will also promote WP2 in the evaluation of remote sensing data. Personal page : http://www.ins.itu.edu.tr/cevre/personel/sozen/ is currently full time professor at ITU, Department of Environmental Engineering and the academic coordinator of ITU- Centre of Management for Disaster Management. Dr. Sözen has 22 years of teaching and research experience in the field of Environmental Science and Technology. She has strong experiences in implementation of EU projects (Framework projects and EU-MEDA) as responsible coordinator at ITU. She holds a list of scientific publications with over 80 papers, which received more than 400 citations. Assist. Prof. Dr. Cigdem Goksel Dr. Cigdem GOKSEL is an Assistant Professor at the Istanbul Technical University (ITU), Department of Geomatics Engineering. She received her B.Sc. degree from Geodesy and Photogrammetry Engineering from ITU, Faculty of Civil Engineering in 1984. She received her graduate degrees M.Sc. (1989) and Ph.D. (1996) from the same faculty in the field of Geodesy and Photogrammetry Engineering. She was visiting scholar at Murray State University’s Mid-America Remote Sensing Center (Geosciences) KY – US during six months in 1999. Her research interests are monitoring landuse landcover change and remote sensing and GIS integration for the environmental studies. She has involved and supervised several research studies and projects in the field of remote sensing and integrated technologies. She has 75 scientific publications related with different remote sensing applications such as water basin monitoring, urbanization detection, coastal line and epidemiologic studies. 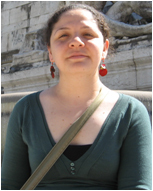 She will be involved in EnviroGRIDS as the researcher of WP2 and WP5. Personal page: http://atlas.cc.itu.edu.tr/~goksel/cv_en.htm : She is currently full time assistant professor in Geomatics Engineering Department. Her research area focuses on Remote Sensing and GIS Applications. She has been working as a Visiting Professor in the Mid-America Remote Sensing Center Murray State University in USA in 1999. She is assigned as the Regional Coordinator of Eastern Europe/Central Asia of ISPRS (International Society Photogrammetry Remote Sensing) WG VII/7. She has more than 50 scientific papers published in cited journals and proceedings in the field of Remote Sensing and GIS Applications. Senem Teksoy Başaran, Environmental Engineer (MSc. ): She is currently a PhD student at the ITU-EED and served as Project Assistant in several EU projects. 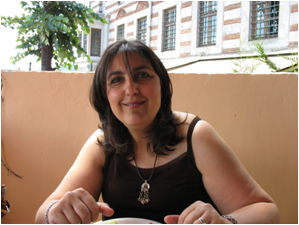 Prof. Dr. Necla Ulugtekin Prof. Dr. N. Necla ULUGTEKIN is a senior lecturer in the Cartography Division of Geomatic Engineering Department at Istanbul Technical University (ITU) in Turkey. Her main interests recently are cartography, visualization, GIS and small display cartographic design. She was taken his BSc. in the Department of Geodesy and Photogrammetry in Istanbul Technical University - ITU. In 1984 she began to work as a research associate in the Department of Geodesy and Photogrammetry and she has achieved her MSc. degree in 1987 in the Institute of Science and Technology of ITU. She has taken her PhD degree in the ITU in 1993 on Geometric Improvement of Digitizing of Cadastral Maps. She was involved in a number of individual and team studies and projects on Electronic Atlas, Mountain Maps, Map Design for Hand Held Devices. She actively remains supporting chambers activities and taken position as a string head or a member in the technical commissions, like Cartography Commission Secretary and President from Standing Scientific and Technique Commission of Chamber of Surveying, Geographic Information System Commission. She has steered the Regulation Commission of Council of Coordination and Planning of Mapping Works among Ministries for the mission of preparing a law proposal for Turkish National Geographic Information System since early 2003 as represent of University. She is working on cartography in national and international activities. • President of the Commission of Cartography and Spatial Informatics of Turkish Engineers and Architects, Chamber of Surveying Engineers. • Executive member of the Union of Chambers of Turkish Engineers and Architects, Chamber of Surveying Engineers, Istanbul Branch 2008-2010. • Active member of International Cartographic Association (ICA) Standing Commission on Education and Training 1991 - 1995, 1995 – 1999, 1999 – 2003, 2004-2008, 2009 - . She is involved as database and GIS analyst within the WP2 (Remote sensing data use and integration task) and WP5 (Biodiversity, Health and Energy tasks) in EnviroGRIDS project. Personal page: http://www2.itu.edu.tr/~ulugtek/eng.html is a senior lecturer in the Cartography Division of Department of Geodesy and Photogrammetry in Istanbul Technical University – ITU. Her main interests recently are cartography, visualization, GIS and small display cartographic design. Assist. Prof. Dr. Ahmet Ozgur Dogru (MSc.) Assist. Prof. Dr. A. Özgür Doğru is a research associate in Cartography division Geomatic Engineering Department of the Istanbul Technical University (ITU) in Turkey. He did researches on cartography, data modeling, database design and model generalization in the Geography Department of Ghent University, Belgium and COGIT Laboratory of National Geographic Institute of France (Institut Geographique National – IGN France) for 6 and 12 months respectively as guest PhD researcher. He completed his PhD thesis on Cartographic Approaches for Designing Car Navigation Maps by Using Multiple Representational Databases in 2009. He was involved as the researcher in two EU Framework Projects that are Digital South East Europe (FP6) and GISEE: GIS Technology and Market in South East Europe (FP5). His main scientific and technical interests are cartography, Geographic Information Systems and its applications, multiple representations, navigation systems, epidemiology and interdisciplinary studies. He is involved as Remote Sensing and database and GIS analyst within the WP2 (Remote sensing data use and integration task) and WP5 (Biodiversity, Health and Energy tasks). Personal page: http:http://www.faculty.itu.edu.tr/dogruahm/ : He started to work at Istanbul Technical University, Cartography Division (Department of Geodesy and Photogrammetry Engineering) as a research assistant in 2002. He is currently full time Assistant Professor at ITU Geomatics Engineering Department. Research Assist. Filiz Bektas Balcik (Ph.D.) Filiz BEKTAS BALCIK is a Research Associate in Remote Sensing Division of Geomatics Engineering Department at Istanbul Technical University (ITU), Turkey. She is a PhD student at ITU and her PhD subject is related with wetland vegetation discrimination and mapping by using multispectral and hyperspectral remotely sensed data. She did a part of her PhD research at International Institute for Geo-Information Science and Earth Observation (ITC), Natural Resource Department, in the Netherlands while she was a Huygens Nuffic PhD Scholar (2 years). She was involved in several environmental projects as a researcher in the field of remote sensing applications on land use land cover change detection, urbanization, forestry, and biophysical and biochemical characteristics of savanna vegetation (in the South Africa). With the EnviroGRIDS project, she will be involved in WP2 (Remote sensing data use and integration task) and WP5 (Biodiversity, Health and Energy tasks) as Remote Sensing and GIS analyst. Personal page: Personal page: http://www.akademi.itu.edu.tr/bektasfi/ : She graduated from Yildiz Technical University as a Geodesy and Photogrammetry Engineer in 2000. She worked at ITC in the Netherlands as a researcher PhD student at department of Natural Resources between 2006 and 2008. ITU being the leader of the WP5 (Impacts on selected Societal Benefit Areas) will be responsible for the organisation of all the other teams involved in this work package providing the fulfilment of all tasks included in the WP5. ITU will develop an analysis on the biodiversity impacts in the ecosystem using İğneada Forest as case study and also an assessment of the national policies on biodiversity management will be carried out in Task 5.1 (İğneada Forest). The other tasks, in which ITU is involved, are the tasks 5.4 (Energy) and 5.5 (Health). For the task 5.4 (Energy) a data collection regarding the wind and solar energy potential in the Black Sea region of Turkey will be made and also the appropriateness of the existing solar and wind measurement stations and procedures will be evaluated. The task 5.5 contains figuring out environmental factors influencing human health regarding the changes in water quality and quantity and an epidemiological observation, which will be executed on diarrhea in cooperation with epidemiologists. Furthermore, the ITU team is also involved in WP2 in the task 2.4 (Remote Sensing Data). In this task ITU will be responsible for performing remote sensing analysis.